These days we are all more conscious of creating a sustainable home that doesn’t cost the earth. We all want to do our bit to save the planet and there are lots of ways we can do this when decorating or renovating our homes. Have you tried any of these ideas at all yet? There are many more builders now creating what we call the Zero Home, a property that produces as much energy as it consumes. It’s not easy to achieve, but many more companies are now aiming for this, and getting there. So what components need to be taken into account to achieve the Zero Home? It’s becoming very on-trend now to have solar panels, and the days of people finding them unattractive to look at are fading fast. And so they should be. There are lots of companies around that will help pull your ideas together so it’s worth looking around. Countries like Australia for example are very experienced in this field so worth checking out, why not try here to start you off. LED Lighting that lasts for 100,000 hours is now becoming the norm for eco-friendly homes, and it’s something that we can all easily adopt into our interiors. Old sash windows do look great, but leak heat and cost money to upkeep. Replace with double glazed stylish windows which will save you around 20% off your heating bills. It’s well-known that old gas central heating boilers cost you money and are very bad for the environment. Replace your boiler with a new modern version and watch your heating bills drop. We did this a few years ago and it made a huge difference. It’s not for everyone. Not all houses are suitable and some products are dangerous. It’s always best to ask for independent advice. After all, an insulation company is wanting to make money from you, so do your research. 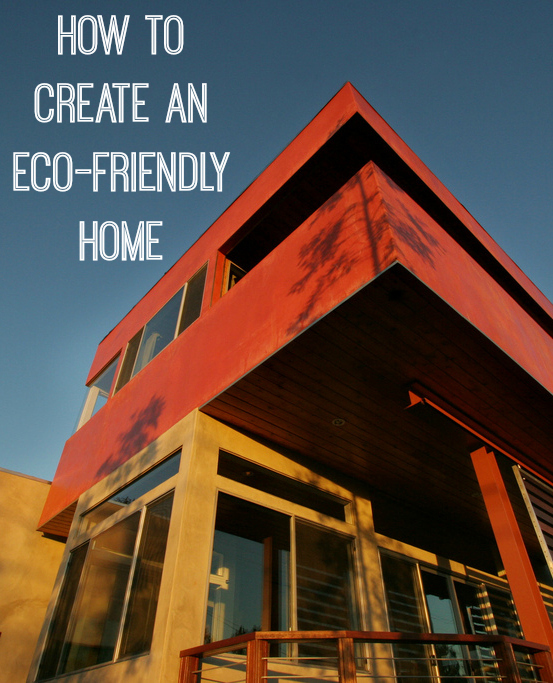 What have you done to make your home more eco-friendly? I would love to get solar panlels! We are also looking to replace all our spot lights for LED, as the bulbs last so much longer! Good points, I’ll take nte of these.